This bangle has a hook to hold it securely on your wrist. 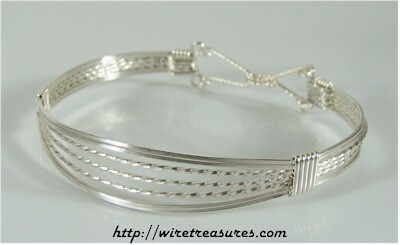 Wrapped in all Sterling Silver wire. You are visitor number 5,542 to this page.